LONDON (ICIS)--The inclusion of high density polyethylene (HDPE) in the list of products to have a 25% tariff slapped on them between the US and China from 23 August has surprised many players in Europe, particularly those with international businesses. “We have been focusing on China and what might happen there now with these new tariffs,” said one buyer. While some sources expected the situation to change, they admitted that anybody with material on the water did not have time to consider other options as the implementation date for the imposition of the duties was so close. Some were looking at redirecting cargoes, and all admitted that if the tariffs are to become reality, long-term changes in trade flows would be an outcome. It was the short term that was of concern this week, however. Other sources were still working out what impact on their business the changes would have. “With this trade war there will be a lot of consequences for Europe,” said a European producer. 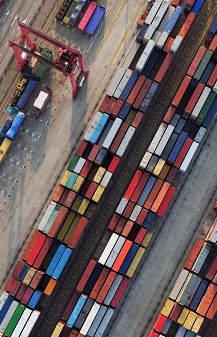 Overall market sentiment across Asia was weighed down by uncertainty surrounding new developments in the US-China trade war.